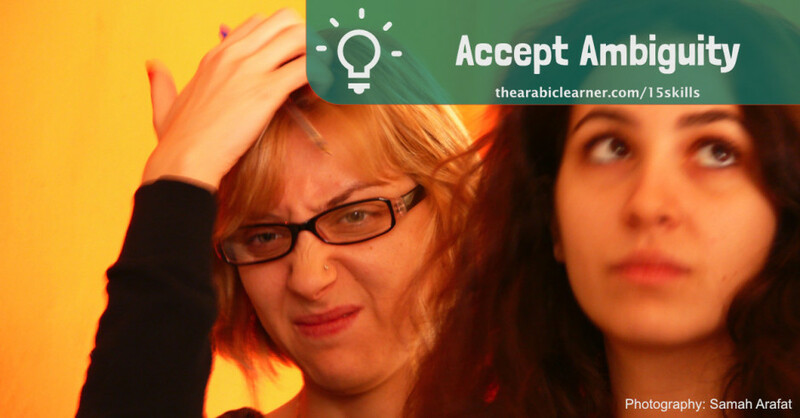 Accept ambiguity in your conversations and interactions in Arabic. Being able to accept and be comfortable with situations in which you do not understand everything that is being said to you (or written) is essential to learning Arabic. Having the flexibility to be able to adapt to input that is slightly beyond your ability to fully grasp will stretch you and cause you to apply internal learning strategies that advance your language skills. “Thank you very much for your offer, but for this daughter of yours, a thousand pounds would never be enough!” Setting aside the thorny issues of arranged marriages, finances, and power relationships in families in a conservative society, this sentence probably signifies the high water mark of my Arabic language blunders. It shows how awkward it can be to not understand everything being communicated around you in Arabic. I was visiting a village in southern Egypt. I was young and thought I knew a lot of Arabic. While being introduced to the extended family of my friend I was staying with, they told me with a smile that they wanted me to marry into the family so I could stay with them forever. Arranged marriages are common in village life. I knew enough to realize that they weren’t serious, but rather were just paying a compliment to me. That compliment being, if I would pay 1000 Egyptian Pounds, I could marry their daughter Fatma. She was sitting in the room with us at the time, looking as awkward as I felt. The Arabic Wedding Vows – Matrimonial success, Arabic language fail! (If you haven’t read Milestones 1 and 2 – “A cup of Tea” and “Signing the Contract”, this post will make more sense once you have read those). And the title of this post comes from the movie My Big Fat Greek Wedding (2002). My first milestone was ordering a cup of tea in Arabic. The second big milestone was signing a rental contract. This is the third milestone – my wedding vows. In Arabic. I’m going to get vulnerable in this post and tell you all kinds of details about my personal life! Introduce you to my wife Heidi. And just in case you haven’t figured it out yet, that’s NOT me in the wedding picture above. Keep reading. (If you haven’t read Milestone 1 – A Cup of Tea, this post will make more sense once you have read it). My first year in Egypt was spent immersing myself in Arabic. I was determined to make the most of what I thought would be a single year here. 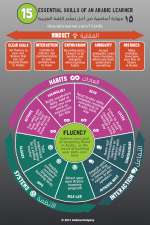 My plan was to take in as much Arabic language learning as I could in as many ways as possible. Five days per week, I was in class at the American University in Cairo.The program was intense – five hours a day of instruction.About 3/4 of the class time was spent studying Modern Standard Arabic (فصحى) and 1/4 of the time spent studying Egyptian Colloquial (عامية).The teachers were for the most part good, and some of them were excellent.One of my favorite teachers was Abbas Al-Tonsi, co-author of the famous Al-Kitaab books for Arabic language learning.He revolutionized my thinking about learning vocabulary, even though that was not the main focus of the course I took with him. More on vocabulary in a later post. In addition to class time, we had 2-3 hours of Arabic homework per night, on average.On top of this, I decided I was going to spend as much time speaking Egyptian Arabic as possible.Learning Arabic was my priority. 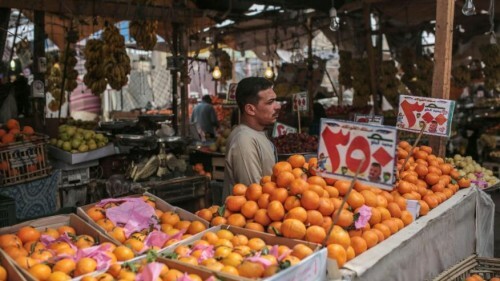 I was unconventional.I made friends with a fruit-seller on our street named Ibrahim, and sat on a chair next to him for 1-2 hours per day, at least 5 days a week.I would talk with him in Arabic (he spoke no English), as well as with all kinds of customers that came by.It was only after I had been doing this for several months that I learned from other people that in Egyptian society, this was seen as strange.I was not concerned with that! Learning Arabic has been a long journey for me. 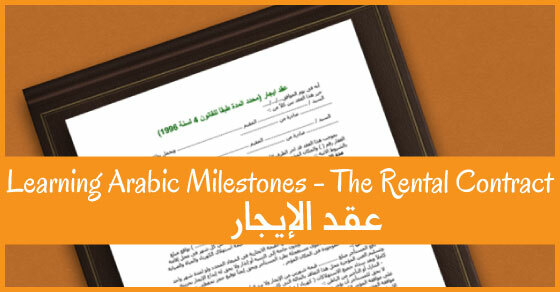 As I share resources, tips, and insights on this blog to help people in their own journey to speak, understand, read, and write Arabic, I thought I would share some of my milestones that I passed. 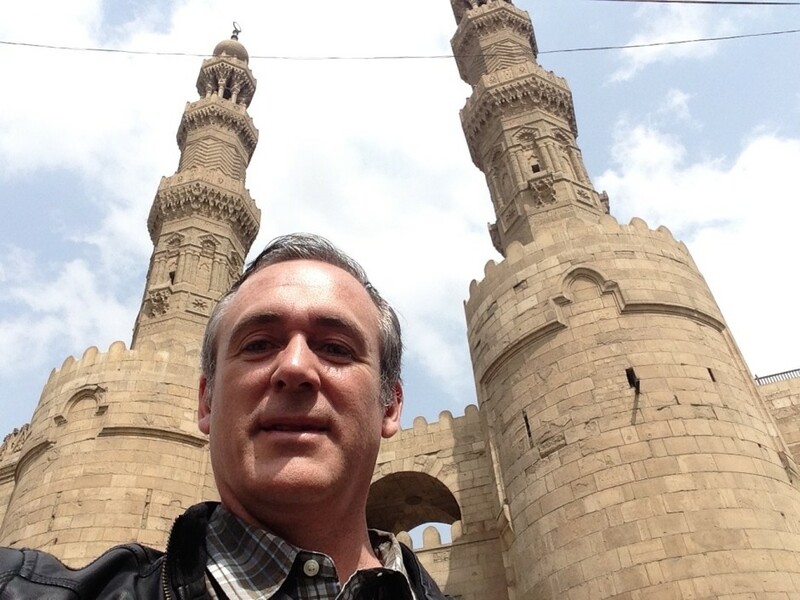 If you are getting to know me, I arrived in Egypt in 1991, on a year abroad from the University of Toronto in Canada. I was studying in a linguistics program (which later shifted into the Department of Near and Eastern Civilizations, since I overloaded my credits with Arabic courses!) and wanted to learn a “different” language. My friends were taking years in places like France, Spain, or Germany. 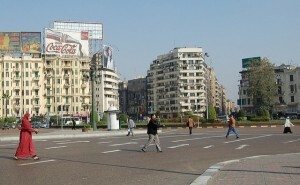 I though through the places in the world that interested me, and decided to study in Egypt. I’ve been here since. 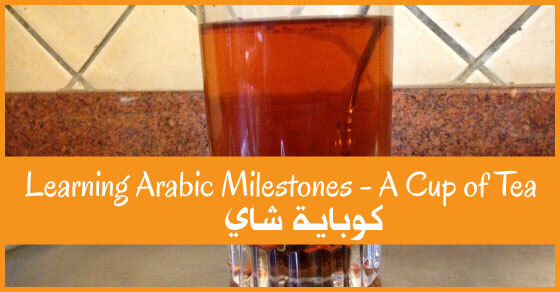 Thinking back over how I started learning Arabic, I can think of a few milestones in my progress. On my first day in Egypt, I went from my apartment to the place I would study: the American University in Cairo. I was signed up for a year of learning Arabic in their Arabic Language Institute (now the Department of Arabic Language Instruction). I walked through some crazy traffic, found my way to Tahrir Square, and eventually discovered the old campus of AUC. 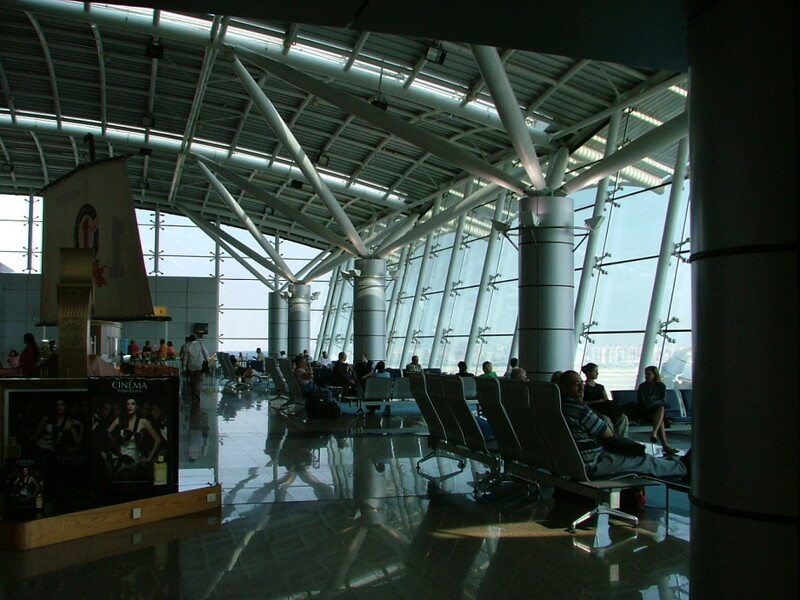 It’s 2:00 am and I am checking in at Cairo Airport Terminal 1. Heading out of country for a short trip to the US and Canada. Gearing myself up for some COLD weather in Canada! Airports have a lot of verbal interaction, as you deal with porters, check in agents, drivers, security people, and other passengers. Arabic definitely comes in handy. Some people learning Arabic that I have come across here in Egypt seem to feel that the usefulness of Arabic is that it saves you from having to give tips, or lets you pay local prices. Personally I don’t care as much about this one, although it is in fact helpful for living on a budget. One trip’s worth of tips in a place like the airport can blow your whole monthly budget. But what I appreciate the most is the fun and sometimes humorous interactions it brings. For me, humor is good. And Egyptians love to joke and laugh. A porter lifts my carry-on bag onto the security belt. I don’t actually need his help, and I don’t want to tip him because I’ve given out lots of tips already. So instead I joke with him, and get him smiling. Learning Arabic is something I get a lot of questions about. I started to learn Arabic in 1989. That was when I took my first course in Modern Standard Arabic. I have spent many years since then studying, learning, and using the language. I have helped people who want to learn Arabic by creating and publishing Arabic language learning apps. Learning Arabic in Toronto (where I grew up) back then was not very easy. 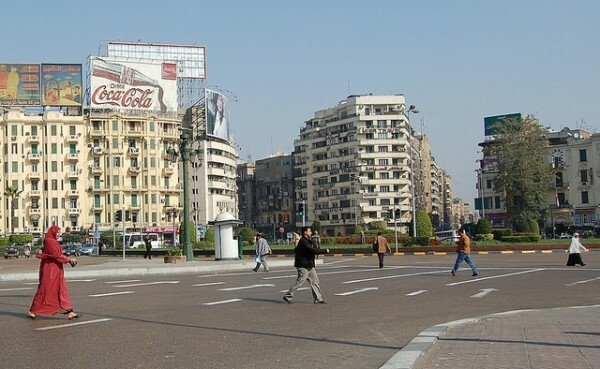 But it wasn’t really until I arrived in Cairo, Egypt, that I began to really move forward in being able to function in the language. 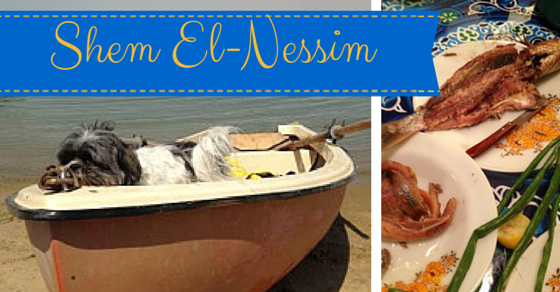 I had come to Egypt with one purpose – to learn Arabic. It was August 27, 1991, and I was a brand new arrival in Cairo, on a year abroad at the American University in Cairo during my third year of a degree at the University of Toronto. Why did I choose Arabic? And why Egypt? I chose Arabic because I was in a linguistics undergraduate program at the University of Toronto, and wanted to study a language other than the usual French, Spanish, and German that my fellow students were studying at the time. I chose Egypt because it was the only place I knew of that would allow me to transfer credits back to my university in Canada. Amazing how seemingly small decisions can change the rest of your life. I’ve been here ever since.